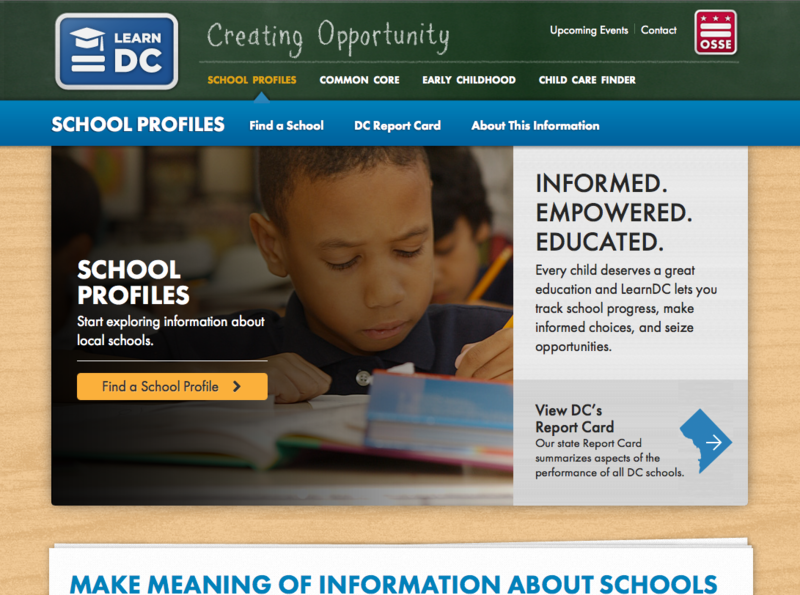 LearnDC empowers students, parents, educators and communities with the knowledge they need – from information about caring for a young child to tools for engaging with our local schools. 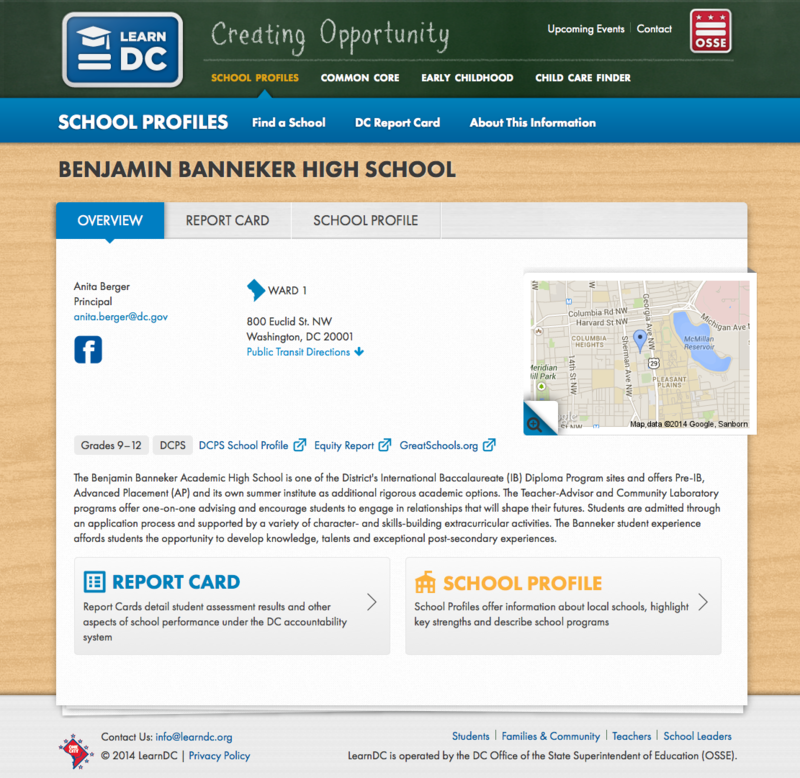 Adding to the services LearnDC provides, I helped create a new product called ‘School Profiles’ which lets you track school progress, test scores and help make informed choices when choosing a DC school. I was involved with client strategy meetings, wireframe and content design, website development & content requirements. Each school has three different sections including the School Overview page shown here. The School Report Card page features a dashboard at the top, providing a visual summery of statistics detailed below. I created the page structure to allow the user to see all the elements of the page in a summarized view, above the fold, while still keeping all the information on one easy to understand page. Clicking on one of these dashboard items, takes the user to that statistics page section, providing more details, sometimes with an additional “explore” mode to dig even deeper into the information. Throughout the School Report Card pages, vocabulary words are highlighted with a question mark icon next to them. Clicking on these words activates a tool-tip feature, providing a smile definition with a link to the glossary pages for more information.